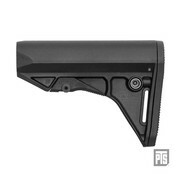 PTS Enhanced Polymer Stock Compact (EPS-C) (Black). 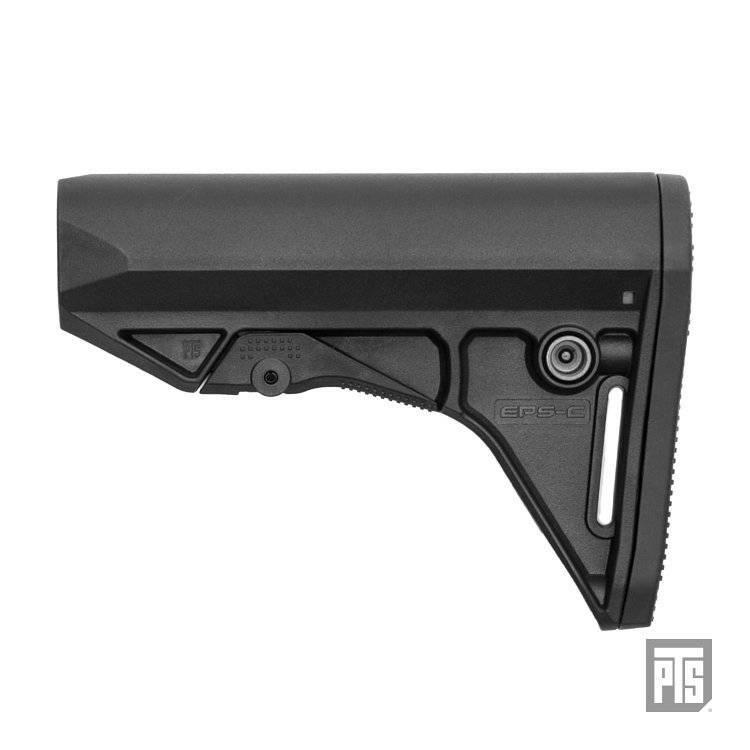 The PTS Enhanced Polymer Stock – Compact (EPS-C) is designed for users who do not require the large compartment space and storage capability of the EPS and prefer a lighter, simpler, and more compact stock. The EPS-C is minimalist, sleek, and lightweight yet very strong due to its construction using Dupont™ Zytel® polymer. It incorporates only essential features like a rubberized buttpad for comfort and grip and a metal QD cup that's switchable to either side of the EPS-C to accommodate your preferred sling attachment position. The extra-slim stock pull adjustment lever maintains the stock's narrow profile and is extremely easy and natural to manipulate by using a fist grab method where your fingers press on the lever side that's opposite to your palm. The lever also has a protective spine to prevent accidental stock adjustment. By pulling down the backside of the lever, the EPS-C is easily installed or detached from the rifle buffer tube to expedite the changing of buffer tube LiPo batteries. Easily installed without the need for tools. 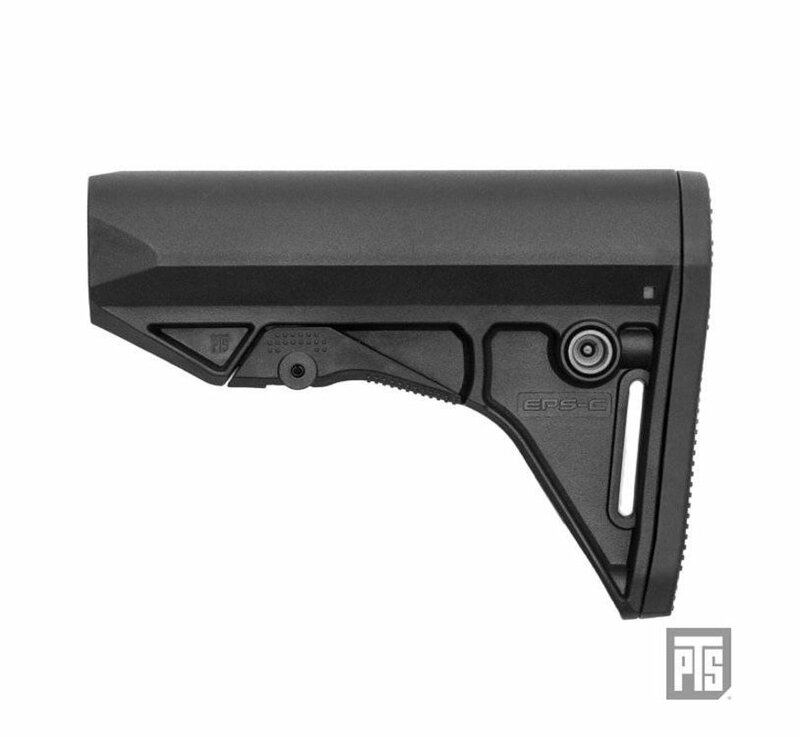 One of the slimmest and lightest stocks on the market. Multiple ambidextrous sling mounting points. A QD swivel socket that can be detached or placed on either side of the stock, based on user preference. Pass-through channel for loop-type sling attachments. Angular rubberized buttpad for anti-slip gripping against the user’s shoulder without impeding movement. Rounded cheek welds stay in tune with the slim profile of the stock whilst maintaining user comfort. Compatibility – 1.148” dia. mm Airsoft buffer tube.